Anything that helps clear my mind from daily events, appreciate how wonderful it is to live in Golden and be part of the Mines community and spend time with Elyse. For example, jogs along Clear Creek or bike rides up Lookout Mountain address the first two. Cheering on Oredigger sports teams, attending Mines Little Theatre performances, feeding pizza to students and Tuesday date nights eating out in Golden with Elyse combine the latter two. During a holiday break, Elyse and I might binge-watch a TV series, and if I have a few minutes of free time late at night, I might reach over to one of my guitars and see if I can wake up some of the freshmen in Maple Hall. Imagine what the world would be like if we all lived by this philosophy. In what ways have you seen Mines alumni give back to the school, and why is giving back to your alma mater important to the success of an institution and its students? 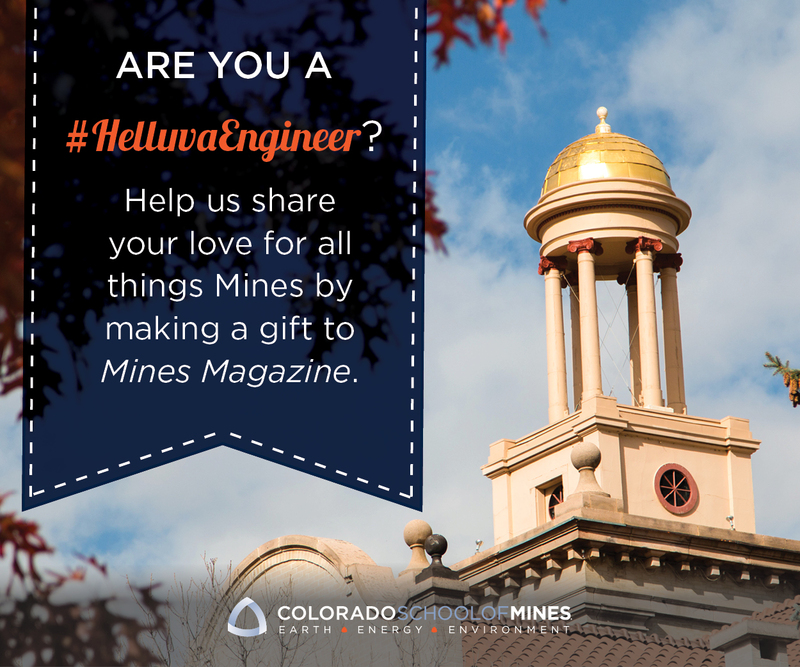 Mines would not be the top-tier institution that it is without the support and involvement of our alumni. As you walk across campus, you clearly see the impact of Mines alumni everywhere—our world-class facilities, the amazing students and faculty we attract, our signature degree programs and our new strategic initiatives. Alumni give back financially, they are engaged on campus in our programs and they help recruit and mentor students. 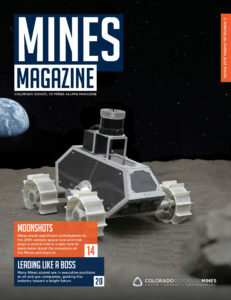 I’m particularly excited now about our new alumni interest groups and what they are doing to grow our connections to the aerospace industry, provide opportunities for student entrepreneurs and innovators, recruit more women to Mines and mentor students. I’d love to see the formation of more of these focused alumni interest groups. One of our strategic goals is for Mines to be the exemplar for all universities with respect to alumni affinity and involvement. We are heading there. We can do it. Go Orediggers!